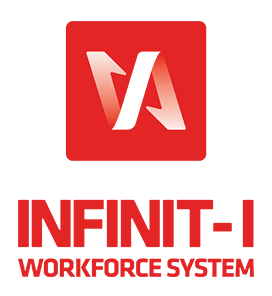 The Infinit-I Workforce System by Vertical Alliance Group, Inc. is designed to help trucking companies empower their profits and safety with a proven online driver training program. The fully customizable training and communication platform features over 800 training videos covering topics like safety, CSA, harassment, fuel efficiency, human resource compliance, and business training. Find out how you can save thousands of dollars utilizing this platform for online orientations, ongoing corrective action training, and monthly safety training with a free demo. All KMCA members receive 10% off their driver training program. Infinit-i Prime™ is the trucking industry’s premier online training platform, with over 350 training modules currently available to handle virtually every aspect of your company’s training program. All videos are less than 10 minutes in length and focus on specific topics critical to success in the trucking industry. Current users of the platform have saved millions upon implementation by streamlining processes they didn’t even realize were costing them thousands in wasted dollars. Unlike other industry training solutions, Infinit-i Prime™ gives your company the ability to add custom content, to upload paperwork and training manuals, and to incorporate driver correspondence into one centralized online location that is easily accessible from anywhere your drivers are located. Additionally, customized quizzes and testing solutions give you the opportunity to ensure your drivers have not only read and received all training and communication, but to also know each driver truly understands what they have learned. Each quiz is time stamped, providing you with great protection should you end up needing proof that training occurred in a court of law. Perhaps the best part about Infinit-i Prime™, however, is the customer support you will receive with their Client Services Team. An online learning tool is only an asset to your company if it is utilized, and their Client Services Team will reach out to you on a regular basis to ensure you and your drivers are getting the most out of your new resource. Vertical Alliance Group understands that when the wheels aren’t rolling, your company isn’t making money. They also know that a good safety program helps to truly minimize bad luck that can happen in the industry. Infinit-i Prime™ is designed with both of these mantras in mind and is available for carriers of all sizes. The company offers a bi-monthly Infinit-i Boot Camp in Texas that allows you to evaluate if online training is right for your company. The event also allows you to leave with an implementation plan in hand and a team behind you to ensure your rollout post implementation will maximize driver participation. To learn more about Infinit-i Prime™ or attending a boot camp, call Randy Sturdivant at 866-427-8216 visit www.TruckingCompanyOnlineTraining.com/Kansas.